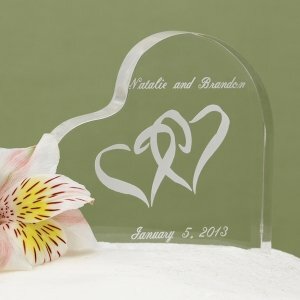 This 4" x 4" acrylic cake top features an etched entwined heart design. 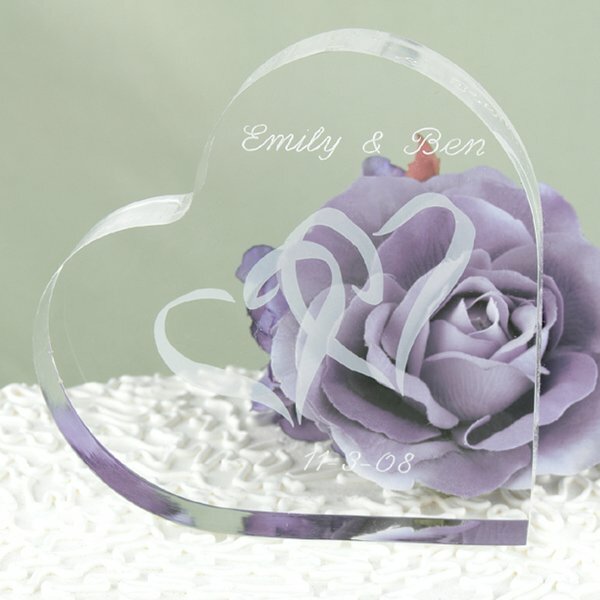 As shown in the photo, the item can optionally be etched with your names and date for a small fee. 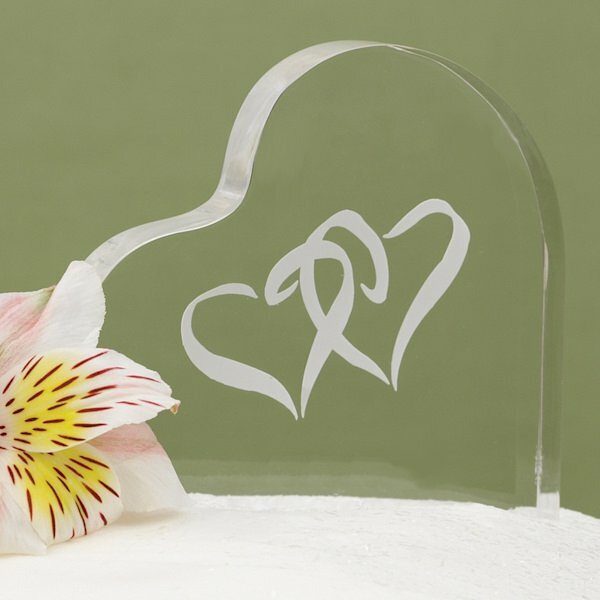 A romantic addition to any wedding or anniversary cake! PERSONALIZATION NOTE - depending on the length of the bride and groom names the location of the personalization may vary slightly from the photograph in order to make it fit on the cake topper.